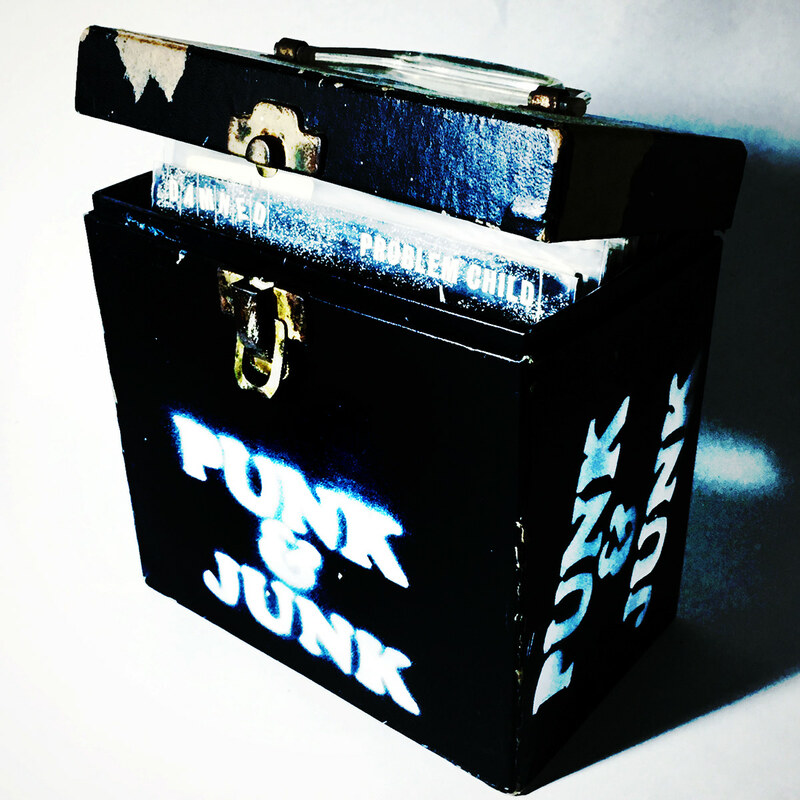 A Punk & Junk carrying case for 7" records. 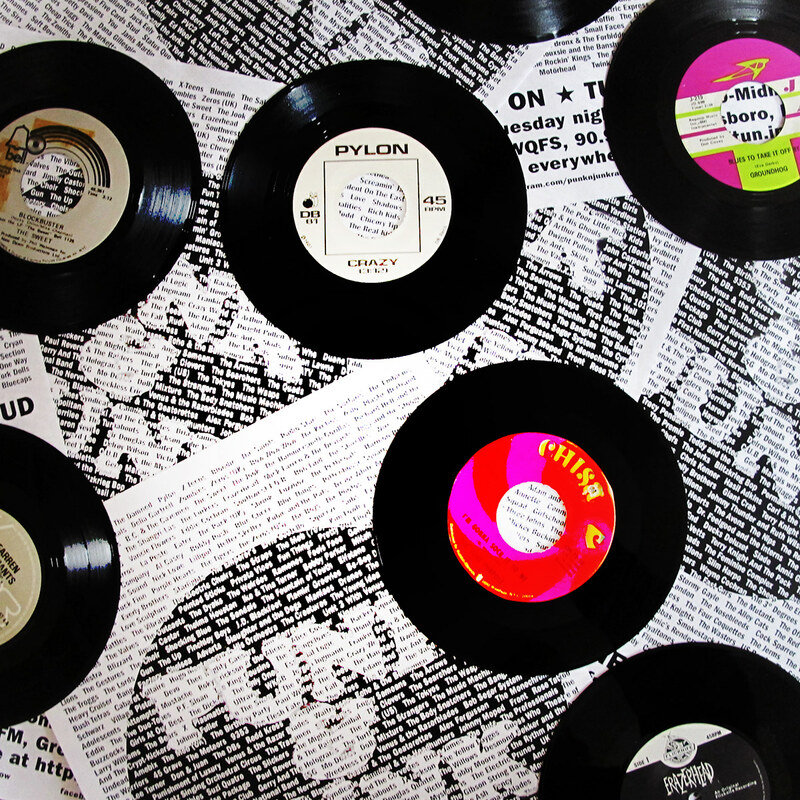 Detail fo stenciled 7" record carrying cases. 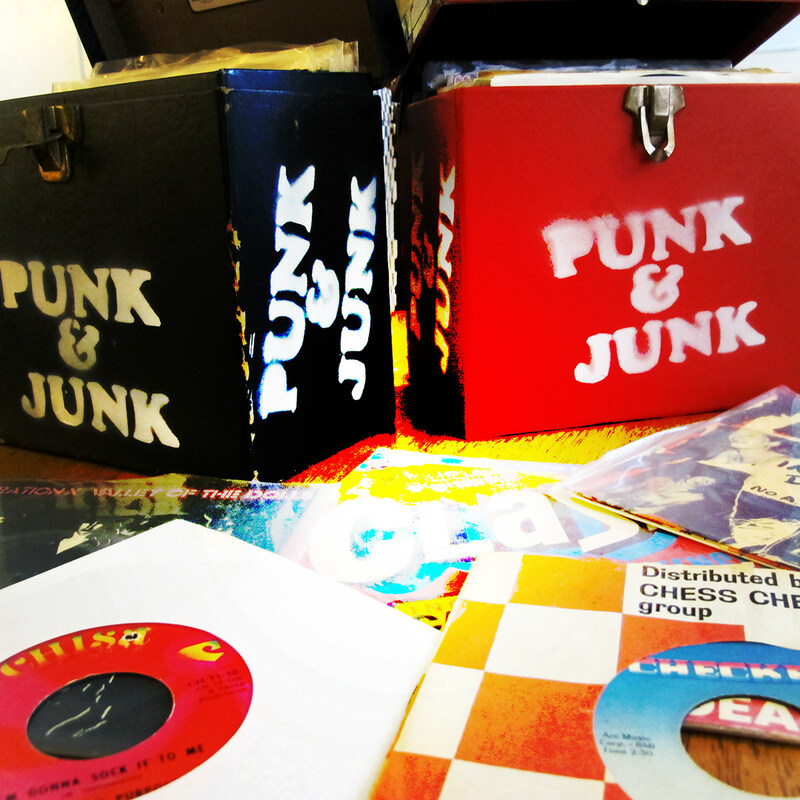 Stenciled 7" record carrying cases. 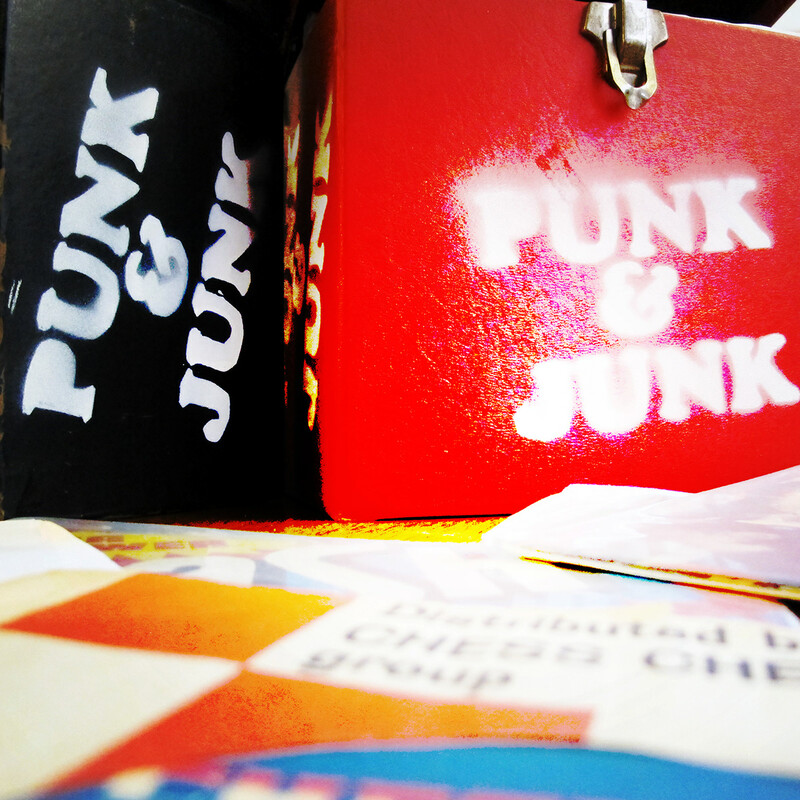 Detail on poster for Punk & Junk. 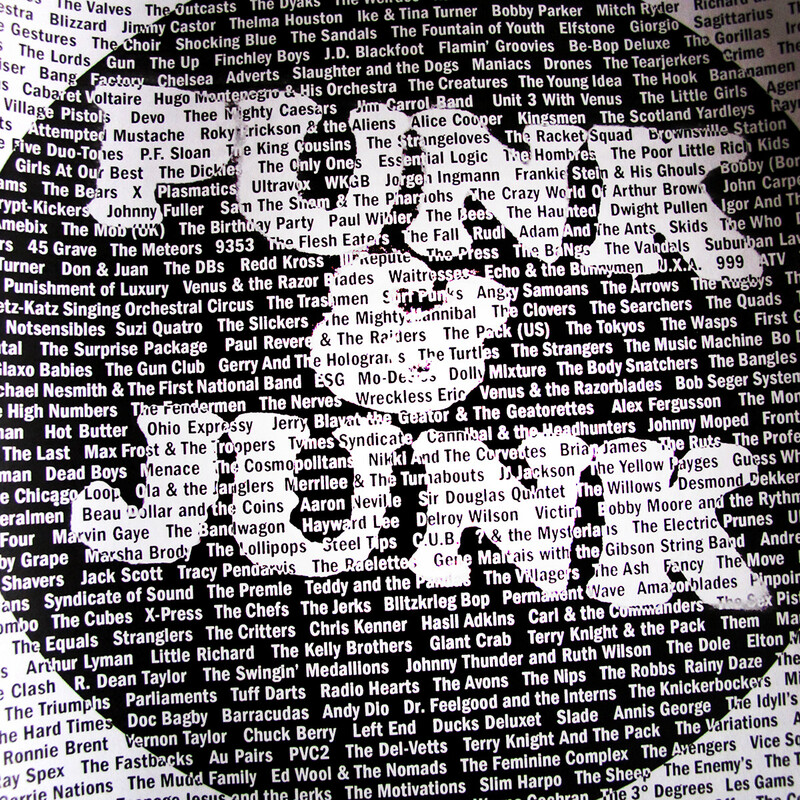 Detail of poster for Punk & Junk. 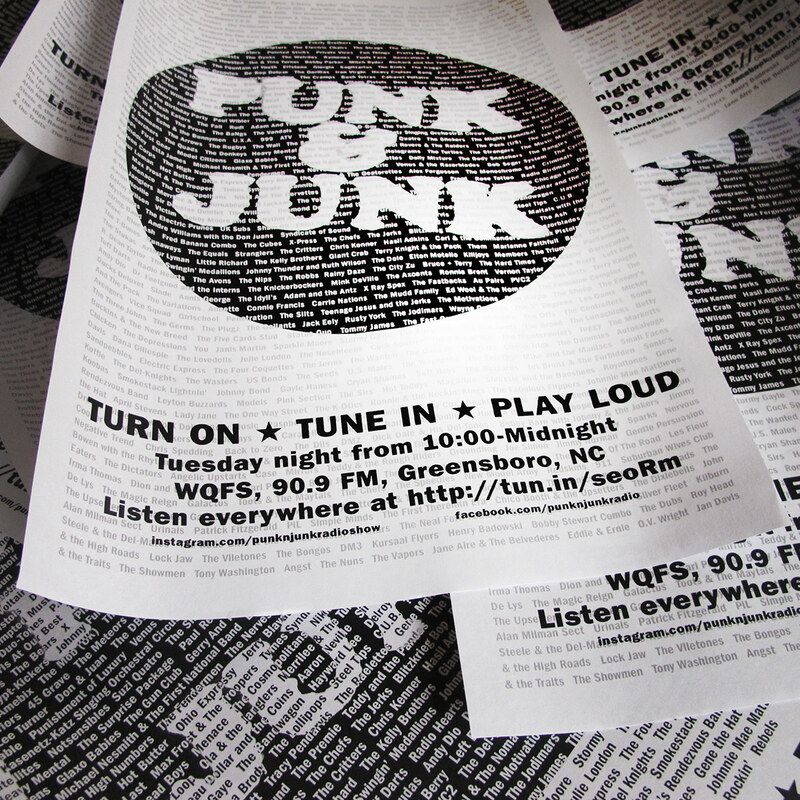 Poster design for Punk & Junk. 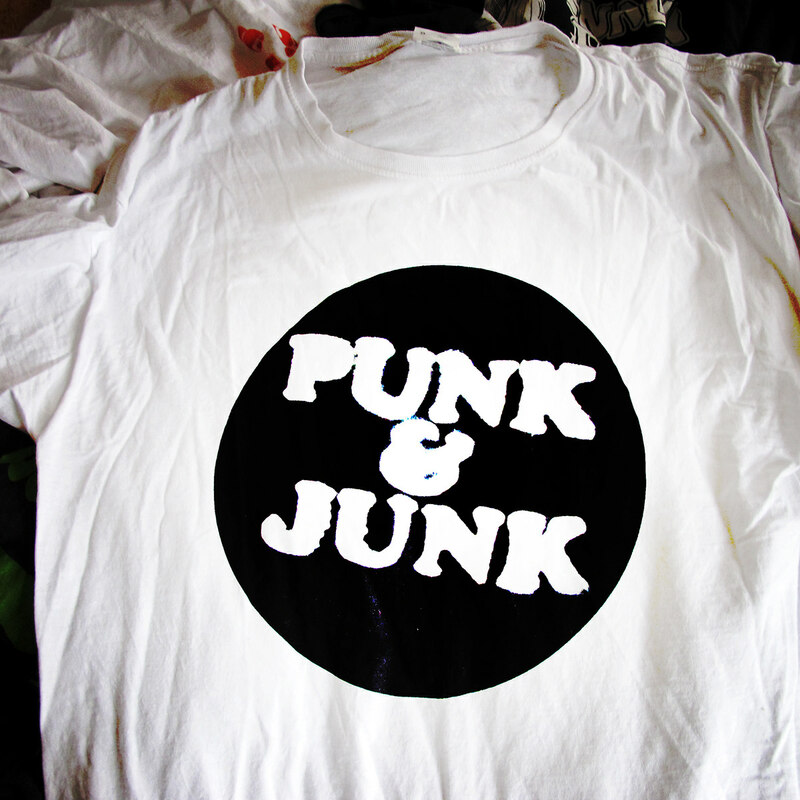 Silk screened t-shirt for Punk & Junk. 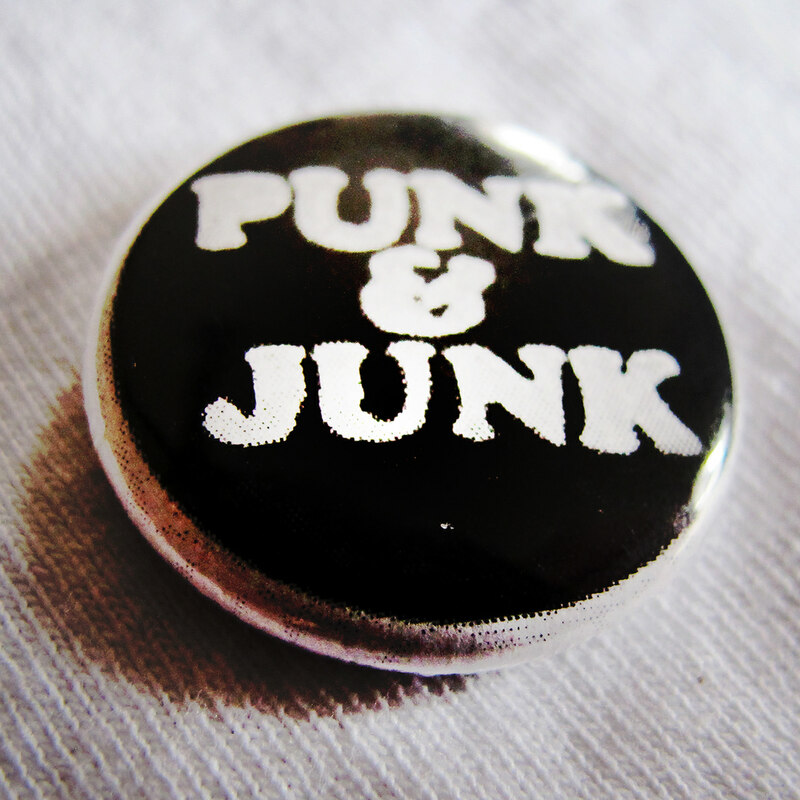 1" Pin-back button for Punk & Junk. 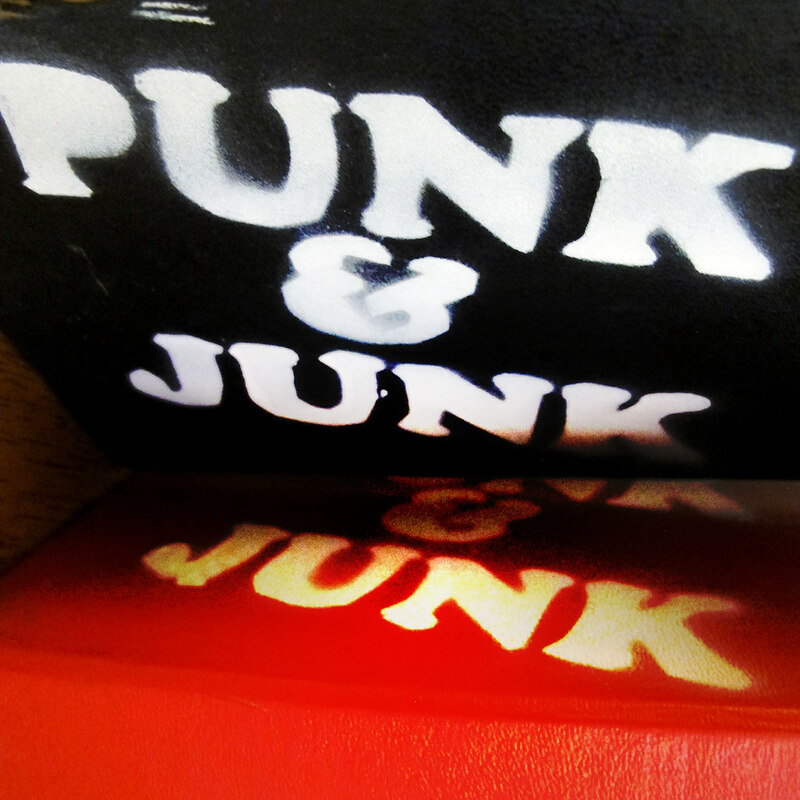 Branding for my radio show: Punk & Junk. 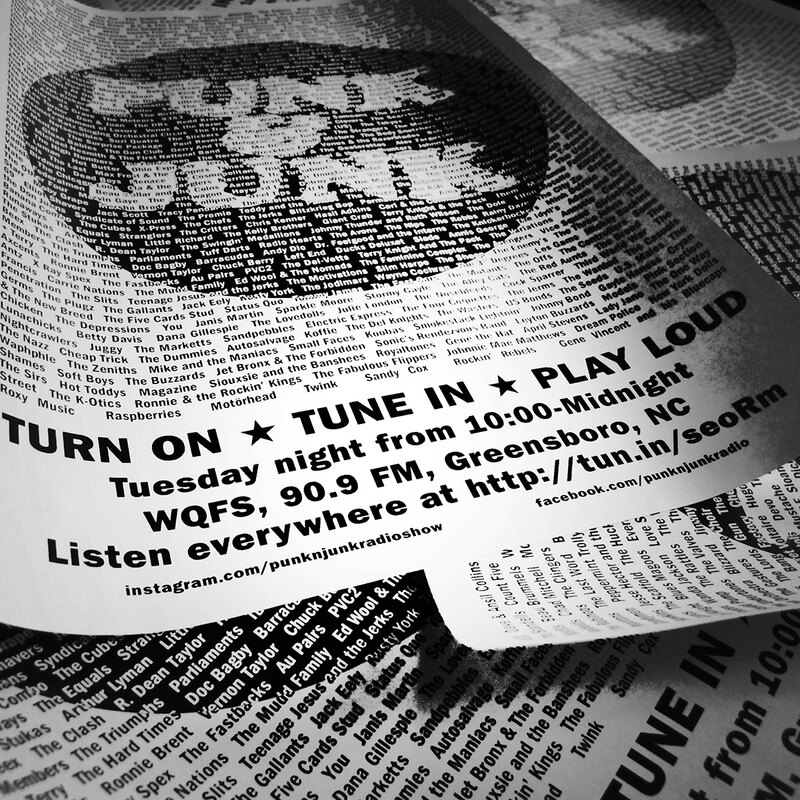 You can listen every other Tuesday from 10-Midnight on WQFS, 90.9 FM. Greensboro, NC and everywhere at http://tun.in/seoRm.